Invite Santa home this Christmas ! Merry Christmas all and a Happy New Year! ​Invite some magic into your home! 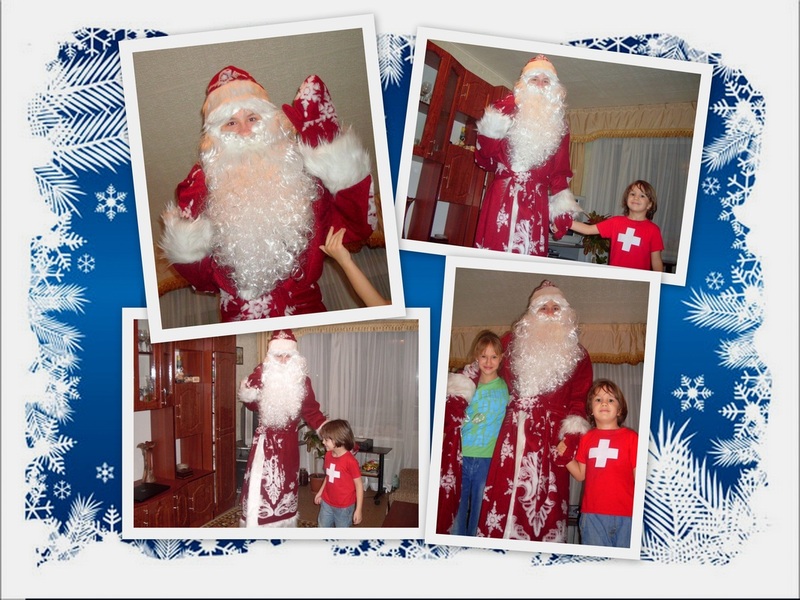 Santa Claus will come to your home, and will make a big entrance! His visit is not very long, approximately an hour, but is an unforgettable event. It’s a mini-show, that includes picture taking with Santa, listening to what the children want to Christmas, telling of a Christmas story, singing, showing some Christmas magic tricks, Santa telling a story of when he was caught delivering presents one night many years ago (“It was the night before Christmas”), handing out the presents. Then Santa will wish everyone a very Merry Christmas and a Happy New Year and depart back to the North Pole. Letter from Santa! Письмо от Деда Мороза! Друзья, надеюсь, вы не забыли напомнить своему ребенку про добрую семейную традицию - писать письмо Деду Морозу со своими заветными желаниями.